After School to 3:00 to 4:15 PM. I started learning chess from Pete Croce at the after-school program at Elysian Charter School when I was in kindergarten. It was a blast. I learned a lot of things. I learned how to concentrate, how to focus my mind and how to play chess, which I love. 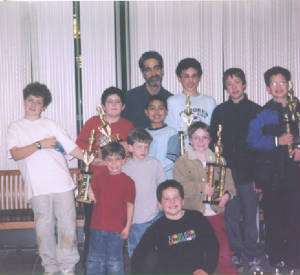 Because of Pete, I won my first tournament in second grade at the New Jersey State Chess Tournament. I won three games and came in third place and got a big trophy, and it was one of the happiest times for me, ever. 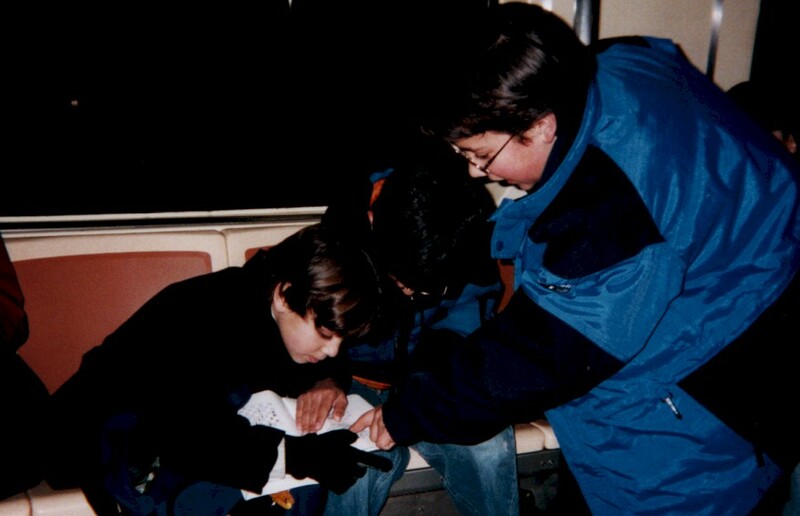 Last year, in third grade, I won four games because Pete has been teaching me more things every day. Pete's Hoboken Chess Club is a great place to learn chess. I've been going there ever since I started with Pete. There's a lot of nice kids in there, of all different ages. 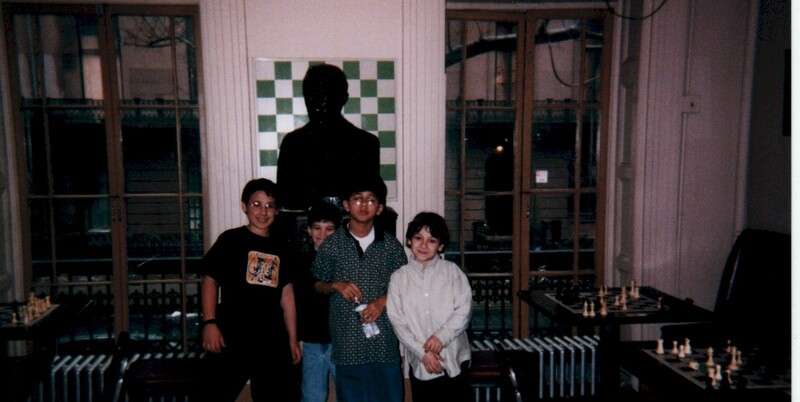 I hope more kids come to Pete's chess club, and I really wish chess was back in school. I can't wait for chess to start again. It makes me smarter and happier, and my parents are really glad that I enjoy it so much, too. After School to 6:00 PM. Payable on the 15th for the following month. $40 to $60. Per Hour. This is our 25th tournament. My proudest moments are when my NEW students win their first trophy!!!! 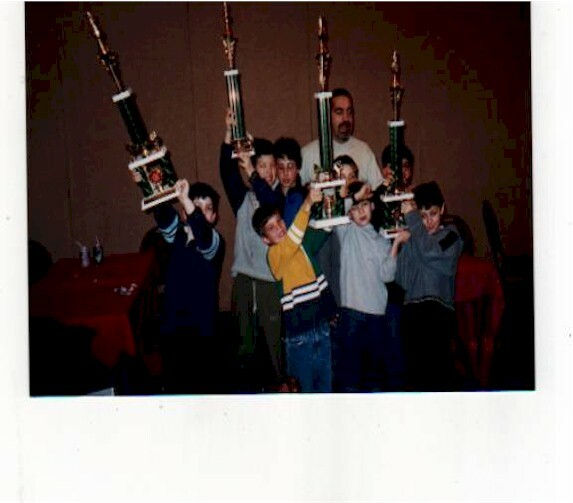 With 5 children from the Hoboken Chess Academy participating in the K-2 section at the Bergan county Championships, 5 winners!!!!!!! Sammy Sobolov Won his first Championship trophy with A Score of 3 wins a 1/2 point Draw and NO LOSES to tie for 2nd place! Tommy Cramer participated in his First tournament and won 3 of 4 contests! 6th PLace, As did Nicky Sobolov. This was Nicky's fourth tournament, fourth trophy!!! 2 at the State level and 2 at the Bergen county championship level. Aaron Brentano and Amiel Rosemblum impresively won 2 games and 2 points and were awarded for their accomplishments. Sammy & Tommy 1rst grade. opposing players K, 1rst and 2nd grades!!!!! In the k-thru 12 grade Section , Sean Evans (4th grader) finished in 6th place out of 70 players with a great tournament. 3 wins one defeat! Oh By the way...I played in the open Section. I scored 2 wins, 2 out of 3 games and won prize money. With over 400 children participating in the New Jersey Scholastic state championships, The Hoboken Chess Academy children held 5 of the top 15 places. Liudmil Liudmilov placed 14th out of 400. William Alston and James Arsenault finished 6th out of 400. Ciaron Finnegan placed 5th out of 400. Curt Bect finished 1rst out of 400. As a team the Elsian Charter School of Hoboken won the state championship, second place.